Cat Haikus and Cat Tales, Too! Ella is the kind of person who keeps totally to herself at work and at home. She rejects any and all invitations to socialize with coworkers. She rides her bicycle to work and one day on the way home, she is hit by a hit and run van. When she awakens in the hospital, the nurse informs her that her husband has been there daily. The trouble is, Ella has never been married. This is a fantastic read with lots of twists and turns and a totally surprising ending. This riveting book kept me on the edge of my seat and was truly one of those hard to put down books. I look forward to reading more of Samantha Hayes' books. This is one of those books that deserve more than a 5 star rating. Thank you to NetGalley and Bookouture for the ARC of this book in exchange for an honest review. 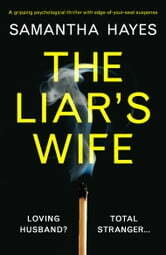 The Liar’s Wife is a true thriller that I couldn’t put down. Ella is a single woman, working as a film editor and living a quiet, isolated life. One night she is in an accident, wakes up in the hospital only to find her “husband” anxiously awaiting her recovery so he can bring her home. Although he’s not really her husband, he’s not a stranger either. He’s someone from her past with the key to secrets that she needs to remain hidden. Even though you can likely see where the plot is generally headed, the back story, revealed tantalizingly slowly, has plenty of twists that aren’t fully revealed until the very end. There are a couple of questions that weren’t fully answered, but nothing that took away from my enjoyment of this book. I was pulled into this book, very anxious along with Ella as she was trapped in this new life and wondering how, even if, she’d pull through. Thank you to NetGalley and Bookouture Publishing for an ARC in exchange for an honest review. I strongly recommend this book for anyone who wants a real page-turner. 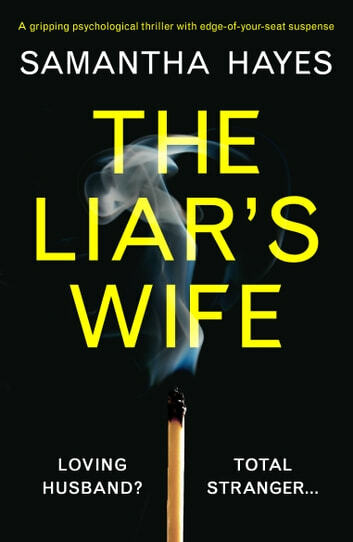 In The Liar's Wife, author Samantha Hayes, takes the reader back and forth from 10 years ago to now. While reading The Liar's Wife there were times I wanted to give our "heroine" Ella a good swift kick because she wasn't doing what I wanted her to do. Twists and turns and some edge of your seat moments make this an excellent read. I was given an early copy to review. Could not put this down. Amazing, jaw dropping twist! I went into this book expecting more of a mystery ("Loving Husband? Total Stranger" - like it says on the title). It turns out, the lying "Husband" in the book isn't a stranger at all. It's just someone from her past. Instead of the mystery being something that the main character doesn't know, she does know but simply doesn't tell us, the reader. Instead of being a "I didn't expect that!" moment, it's more of a "Why didn't you mention that sooner?". I also found that the characters weren't very likeable overall, and the main character especially made very questionable decisions. Overall, would not recommend.